A new era for Indigenous languages in Australia? Every year, on the 26th of January, we celebrate Australia Day. We enjoy a day off work and we gather at friends´ places to share the symbolic BBQ with family and friends, we honour notable Australians and we invite new citizens into our family. Australia Day this year marks the day when the First Fleet landed in these shores some 225 years ago. That part of history, though, and how the conquest developed, most of you already know and I don´t intent to get into right now. But as a result of that particular historical event, the (lives), languages and traditions of many native Australian were lost. And from a very humble and respectful point of view, that´s what I´d like to discuss today. As far back as 2011, the United Nations warned that up to 90% of the world’s languages could die out over the next century. Of the estimated 5,000 to 7,000 spoken languages in the world, between 4,000 to 5,000 of these are classed as indigenous. Over 2,500 indigenous languages worldwide are in danger of being extinct immediately. This is a threat to the environment and a loss of much valuable knowledge about nature and the community´s culture and tradition. Before British colonialisation began in 1788, around 250 aboriginal languages were spoken in Australia by an estimated one million people. Now, 470,000 aboriginal people speak only 145 languages in a nation of 22 million – what´s worse: 110 of these are severely or critically endangered. In fact, National Geographic has identified northern Australia as a “global hotspot”, where endangered languages face a “severe threat” of extinction. Today, Aboriginal Australians are an impoverished minority, with a lifespan 17 years shorter than the national average and disproportionately high rates of imprisonment, heart disease and infant mortality. Education programs for Indigenous Australians are decades behind those in neighbouring New Zealand where western and traditional Maori languages are combined in education programs from preschool right through university. 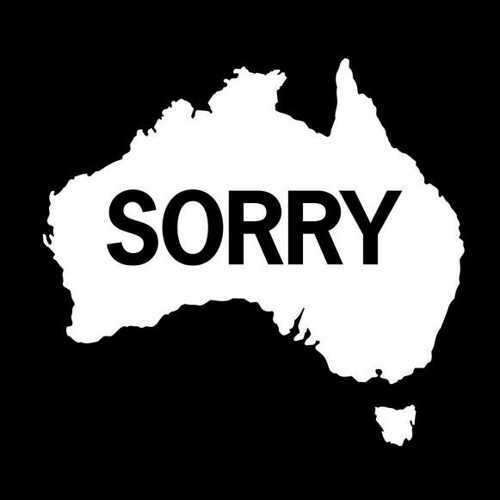 But my intention today, though, is not to reiterate the damage that decades of linguistic and cultural oppresion have inflicted on Indigenous Australians. Instead, I think we need to infuse some positive hope into this issue. A Reconciliation process began in 1991 with the publication of the Report of the Royal Commission into Aboriginal Deaths in Custody. The Royal Commission recommended that ¨all political leaders and their parties recognise that reconciliation between the Aboriginal and Torres Strait Islander peoples and other Australians must be achieved if community division, discord and injustice to Indigenous Australians were to be avoided¨ (from reconciliation.org.au). A Council for Aboriginal Reconciliation was soon set up to promote reconciliation between Aboriginal and Torres Strait Islander peoples and the wider Australian community and achieve a formal reconciliation by the year 2001—the centenary of Federation. On the 13th of February 2008, former Primer Minister Kevin Rudd offered a broad apology to all Aborigines and the Stolen Generations for their “profound grief, suffering and loss” in a carefully worded statement that was greeted by a standing ovation. But Mr Rudd was criticised by indigenous leaders for emphasising symbolism over substance and not doing more in the fields of health and education. On the 3rd of April 2009, Australia formally adopted the United Nations Declaration of the Rights of Indigenous Peoples. The declaration stresses the right of indigenous people to their own cultures, institutions and traditions and it establishes standards to combat discrimination and marginalisation and eliminate human rights violations against them. Although the declaration was not legally binding, it was a step beyond the stance adopted by earlier conservative governments who insisted that the declaration could override existing laws and give unfair advantage to Aborigines. September last year saw the publication of the findings of an inquiry by the Standing Committee on Aboriginal and Torres Strait Islander Affairs into language learning on Aboriginal communities. Entitled Our Land Our Languages, the report clearly estates that Aboriginal and Torres Strait Islanders who speak an Indigenous language enjoy “markedly” better health and are more likely to be employed, attend school and receive a post-school qualification than those who do not. They are also less likely to abuse alcohol, be charged by police or be a victim of violence. The recommendations in Our Land Our Language were welcomed by bilingual education advocates who have long campaigned for more support and funding for the urgent work of teaching children to speak, read and write their own language, particularly in the Northern Territory, where bilingual education was dramatically scaled back four years ago by the same Labor government who issued the infamous apology. 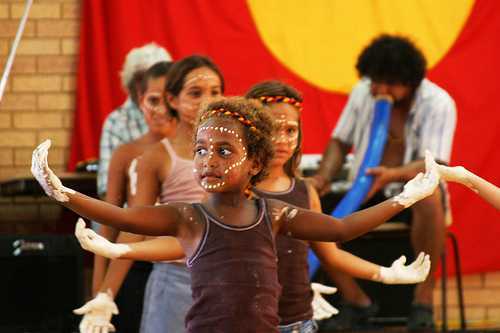 In the NT, about 40% of children speak a language other than English at home so a bilingual education is crucial. The report recommended “resourcing bilingual school education programs for Indigenous communities where the child’s first language is an Indigenous language”, as well as ¨compulsory cultural awareness training¨ for all teachers working in Aboriginal communities. Very importantly too, the report recommended that Indigenous languages be recognised in the Australian constitution. Minister for School Education Peter Garrett had promised to “talk to state governments about adopting bilingual education for Indigenous children”. He acknowledged that school attendance would improve if children were taught in their own languages for the early years. However, recent past, Labor and Coalition governments´emphasis on the importance of English as the predominant language in education make his assertion a little hard to believe. The fact that the report was released less than a month after the Northern Territory elections, which saw the Country Liberal Party (CLP) swept to power on a strong bush vote, also makes its agenda a little dubious. The CLP has talked up the importance of first-language learning but it has not released any detailed policy or funding commitments. Whatever the motives, what matters now is for governments start putting funding and resource commitments on the table and don´t revert back to easier, more symbolic programs that let the actual hard work fall by the wayside. Once spoken by the original inhabitants of Adelaide, the Kaurna language began to disappear from daily use in South Australia as early as the 1860s. 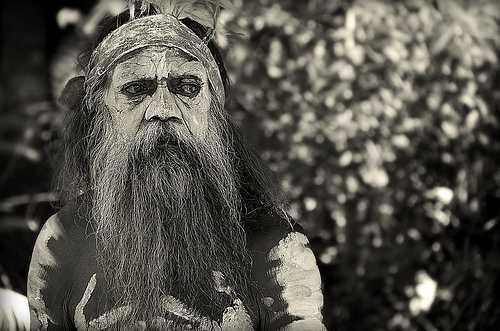 Ivaritji, an elder who was thought to be the last fluent speaker of Kaurna, died in the late 1920s. More than 80 years later, researchers digging through historical archives produced by religious groups and colonial officials, are bringing the Kaurna language back to life. It has been a painstakingly painful process that involved putting the pieces together of a puzzle left by two Germans missionaries, Christian Teichelmann and Clamor Schurmann. Within 18 months of their arrival in South Australia in 1838, the missionaries had produced a vocabulary of about 2,000 Kaurna words, around 200 translated sentences and key elements of grammar. They also opened a school that used the Kaurna language as a medium of instruction for almost six years before colonial authorities, who only tolerated the use of English in schools, shut it down. University of Adelaide linguist Dr Robert Emery, explains that ¨the Kaurna language belongs to this place, to the Adelaide Plains, so it has the kind of vocabulary, the words to talk about the places here, to talk about the environment, to talk about the species that inhabit this environment.” The language is now growing and adapting to the demands of modern life, new words for phone, computer and conference being created based on original grammar and structures – panpapanpalya means conference, warraityi is a phone (literally the voice-sending thing), while computer is mukarntu (lightening brain). There are several hotspots of linguistic activity across much of northern Australia and in the central desert region around Alice Springs. Aboriginal languages are living history – a reflection of thousands of years of ecological, spiritual and social knowledge and should be encouraged and supported. Author DarcyPosted on 2013-01-28 2019-02-22 Categories Language/s and culture/sTags aboriginal languages, australia, Australia Day, extinct languages, Indigenous Australians, indigenous languages, Kevin Rudd, minority languages, reconciliation, Stolen Generations, Torres Strait, Torres Strait Islander, traditional maoriLeave a comment on A new era for Indigenous languages in Australia?